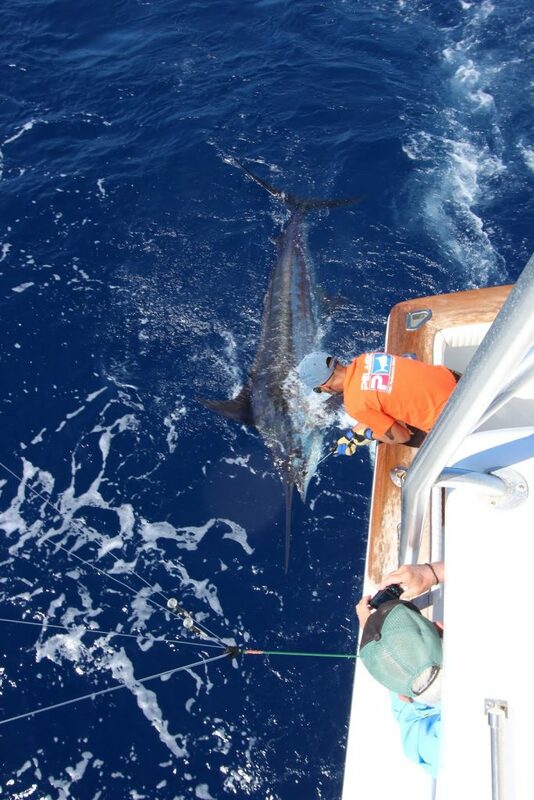 After a 3 days stop after tournament la Gomera, we are fishing again with Dean, Tony and Andy on Nell magic. Very good conditions with actions baits and dolphins. First a bite with 300 pounder, he hooked up 3 times but pull the hook 3 times. Just after another bite by a same size fish but no hook up. Finally , we released a 500lbs pounder, good job by Dean on the chair. old website is still visible.